Hot hatches used to be the scourge of insurance companies, but modern security and safety features have made them hugely popular again. Even more than ever, these sporting cars offer all of the practicality of their more workaday relatives while also providing plenty of interaction for keener drivers. And choosing a hot hatch doesn’t mean giving up on reasonable insurance premiums, as our Top 10 favourites fast hatches prove beyond any shadow of a doubt. You might think the Twingo GT doesn’t qualify for this list, but there are two pertinent reasons it does. 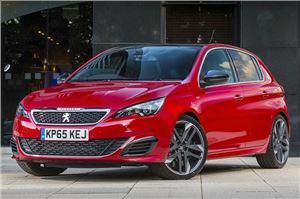 The first is its Group 11 insurance, which makes it the most affordable rapid hatch on sale in the UK. The other key qualifier for the Renault to be counted here is its superb handling. Its suspension has been lowered and stiffened just enough to limit body lean in corners and sharpen up the steering response. 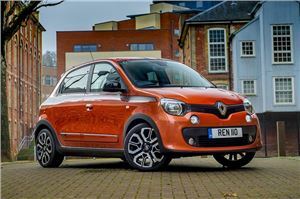 In combination with the specially-design Yokohama tyres, it delivers the sort of fun on twisty roads that only the best hot hatches can and it’s all done at sane speeds in this Twingo. 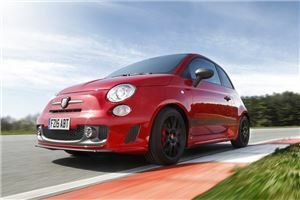 Abarth is a name with a long and proud history of souping up Fiats to make them go faster and handle better. Now part of the Fiat empire, the Abarth name lives on with this feisty little hot hatch that makes the most of its compact size to carve along back roads. The suspension is well pinned down and the steering has crisp feel. A peppy 1.4-litre turbo petrol engine whizzes round the rev counter with glee and the five-speed manual gearbox has a short, accurate shift. While not the outright quickest in the class, taking 7.8 seconds from 0-62mph, the Abarth packs a lot of fun into its compact dimensions. We know Alfa Romeo is a company that prides itself on the sporting ability of its cars, but not all of the current range deliver on that promise. 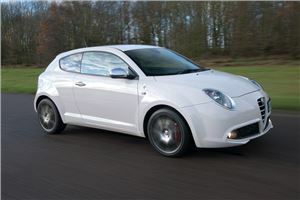 The MiTo 1.4 TB Veloce, on the other, does and it something of a discreet hot hatch with affordable insurance to boot. The turbo petrol engine gives 170PS – not much by today’s standard – but it sees the Alfa from 0-62mph in 7.3 seconds so it feels zesty. There’s also a lightness of touch to the handling that lets you carry momentum and enjoy everything the road throws at you rather than wrestling the car into submission at every corner. 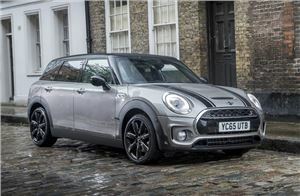 The Clubman has morphed from its earlier lopsided door design into a much more practical and versatile five-door small estate. While that process has made this MINI more appealing to a wider audience, there’s still the Cooper S version to get enthusiasts’ blood pumping. It’s at its best in the most insurance-friendly form of front-wheel drive and manual gearbox, which cracks 0-62mph in 7.2 seconds and can hit 142mph flat out. The side-hinged twin rear doors still limit rear vision, but we’ll live with that in this quick small wagon. The ST name has earned a strong reputation in hot hatch circles among the fast Ford faithful. That’s saying something when the RS badge is the one most lust after. 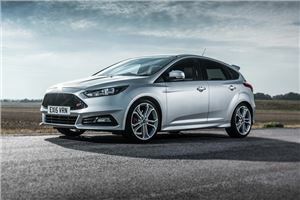 With the ST, you get a more affordable sporting machine with insurance that’s also kinder on your wallet. There is a catch to keeping your premium down, though, and that’s you need to choose the 185PS 2.0-litre turbodiesel rather than the all-singing 250PS petrol. For some, the nimble handling and 67.3mpg average economy will work, but for others the drone of a diesel rather than the fizz of a petrol won’t cut the hot mustard. As iconic names go, MINI Cooper S sits proudly alongside the Golf GTI or Ford RS badges. 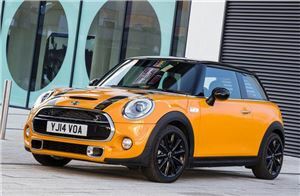 With a pedigree going back to the 1960s and victory in the Monte Carlo Rally, the Cooper S name carries a lot of weight and this latest model delivers. A turbocharged 2.0-litre petrol engine pushes out 192PS and is happy to rev hard through its six-speed manual or auto transmissions. You can also make the most of the accurate handling and superb grip, while the MINI still manages to wrap itself around you as you drive despite being much larger than the original from five decades ago. Put “Peugeot” and “GTI” in the same sentence and people of a certain age will go misty-eyed at memories of the legendary 205 hot hatch. It’s the car that cemented the French company’s hot hatch credentials and has made almost every subsequent model seem a bit, well, dull. Not so with the 308 GTI. In this insurance bracket, you can have it in 250- or 270PS forms and either is more than quick enough for road driving. They also handle with precision, sound good and look discreetly sporty, unless you choose the brash two-tone paint job. 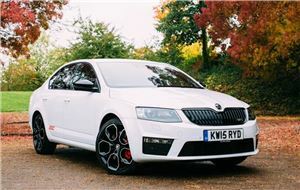 If ever anyone questions how a hot hatch can be quick and practical, the answer lies in the Skoda Octavia vRS. 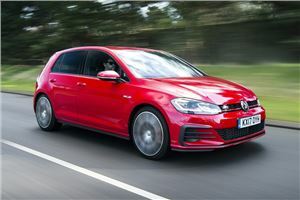 It has all of the space, comfort and versatility that make the rest of the range ideal family cars, except this one packs the same 230PS turbocharged 2.0-litre petrol engine as a VW Golf GTI. You could have the diesel version with a lower insurance grouping, but this is the one that delivers the most thrills and excitement. The only demerit compared to other Octavias is the vRS’s firm ride on more badly broken surfaces, though this is more a hot hatch trait than outright criticism of this model. The Clio Renaultsport has built up a huge following, but this latest incarnation has split opinions due to its dual-clutch gearbox. Some feel it’s lost some connection between driver and car, while others prefer its supercar-style rapid changes. Either way, there’s no arguing with 0-62mph in 6.6 seconds for this uprated 220 version that sits in the same Group 28 for insurance as the marginally slower 200 model. 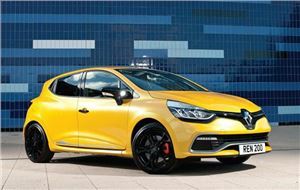 Overall, this third generation of Clio RS is more refined and sophisticated. It makes it easier to live with, but it would be good if some of that old rawness was more evident. Genesis. The original. The granddaddy of all hot hatches. Call it what you will, the Golf GTI is the car that pulled the firing pin on this class and it’s still shooting for the top five decades on. Yes, it’s grown in size, sophistication, price and power, but the fast Golf remains the standard by which all others are judged. That’s because it still gets all of the essentials spot on, such as its pace, handling and refinement that means it always functions as an everyday car while also being a superb sports car when you want it to be.